As a card-carrying Heavy Metal fan for pretty much four decades now, I was super excited that 2018 would not only find us receiving a brand-new Judas Priest album, but also a healthy tour that would visit a lot of states on our side of the pond. The tour was sure to be an exciting one since The Priest had lined out that both Black Star Riders and the legendary Saxon would be joining them as they celebrated “Firepower”. Sadly, the band wouldn’t be hitting any of the Big Apple arenas outside of Long Islands Nassau Coliseum but that was fine since the nearby Prudential Center in Newark, NJ would be on the docket. Here’s my summary of the rock-solid event. 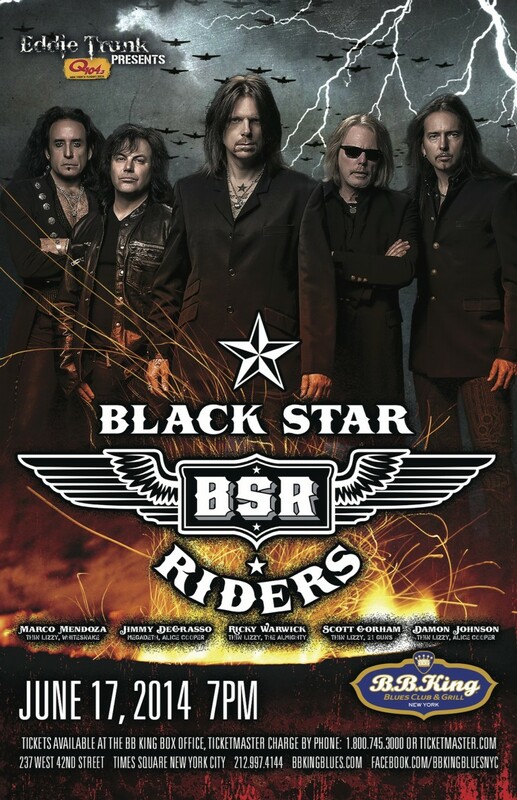 Black Star Riders: The BSR were up first and if you don’t know too much about the band, you should know that this began as an offshoot to a rebuilt Thin Lizzy. After a brief reunion tour by that famous moniker, the new material was released under a new branding out of respect of their storied past and would find Damon Johnson, Robbie Crane and Chad Szeliga joining up with Scott Gorham and Ricky Warwick. The band is a solid one and has been signed to Nuclear Blast Records for a few years now. Their set is a blending of new sure to be classics along with numbers that are long in our musical hearts from the Thin Lizzy catalog. Tonight, they would not deliver too many of the legendary bands numbers outside of “Jailbreak” and instead would focus on their new albums material. Speaking frankly, I would have preferred that they mixed it up a little better since there was a lot of people coming in tonight that would be getting into place by the time Saxon would hit and I think more would have tried to be earlier if they knew more of the songs. That being said, the early and short set that they delivered was a solid one. I still need to get the new album myself and once I do you can count on a comprehensive overview here on the website. Now it was time for Saxon so all the excite right? You betcha. BSR Set: All Hell Breaks Loose, Jailbreak, Heavy Fire, Soldiertown, The Killer Instinct, When The Night Comes In, Kingdom Of The Lost, Bound For Glory. The Details: The Black Star Riders are the next step in the musical legacy that was the great Thin Lizzy and the band features members of that legendary band in their lineup including Scott Gorham. Their debut album is called “All Hell Breaks Loose” and it’s on one of our favorite labels of them all (Nuclear Blast Records) so I think that it’s a good thing. I’ve heard the album before and it really rocks and that makes it all the more awesome to offer up a contest for our readers to attend their NYC show at B.B. King Blues Club. I love free stuff, don’t you?